Thursday, May 8, 5-7 p.m. Sat., May 10, Noon-2 p.m. The procedure is straightforward. At each location we count cyclists who pass through the intersection, noting direction of travel. The main goal is to get an overall count of all cyclists who pass through the intersection. This way we can track bike travel over time to determine whether use is increasing or decreasing and to try to correlate the trends with changing conditions. While we sense that the number of people who travel by bike is growing, without counting we can only guess whether that perception is true. 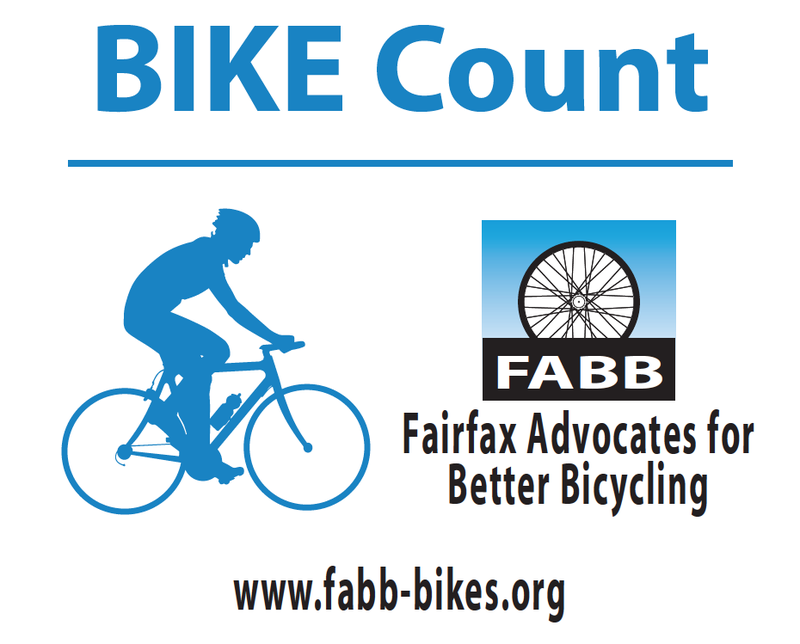 Arlington County has a very successful automated bike counting system supplemented by volunteer counts. They have used the numbers to help justify plowing snow from trails in the winter. We hope the county eventually establishes a bike counting program, perhaps once the bike program is actually funded. In the meantime, FABB will continue our small-scale counting effort.